This boutique hotel retreat expertly caters to anyone who just wants a bit of ‘me time’… so all of us then. 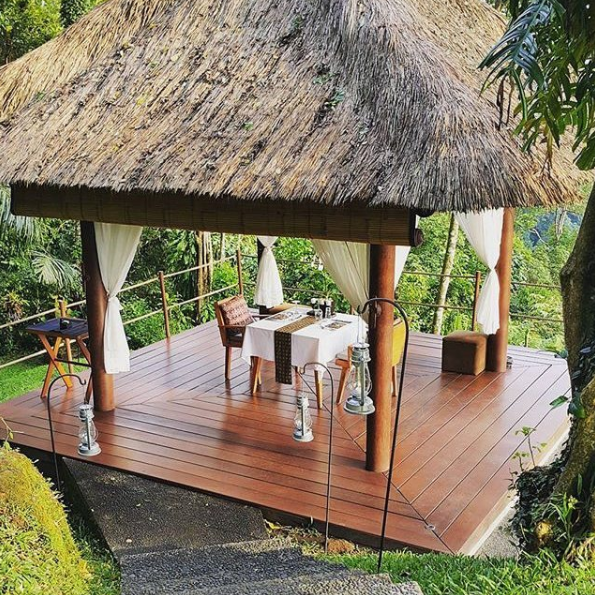 Whether that means relaxing by the elegant tiled pool, surrounded by jungle on a chic teak sun lounger, yoga-stretching your stress away on the spa’s enormous covered deck that looks out over the rainforest, or sampling the brilliant locally sourced food and cocktails. 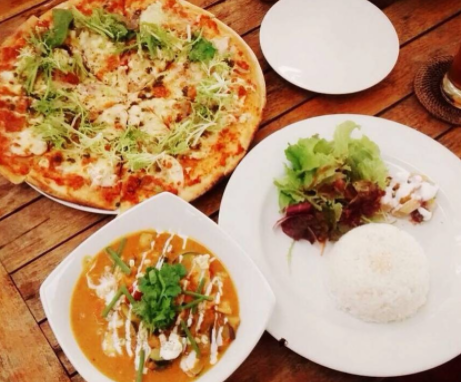 Spelt pizza, green juice and a pina colada chaser coming right up! 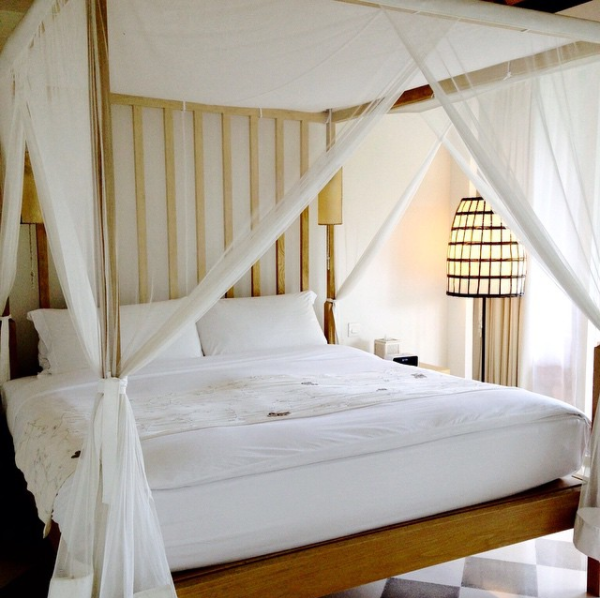 We also got rather attached to their open-air bathrooms with a mosquito-net covered tub. 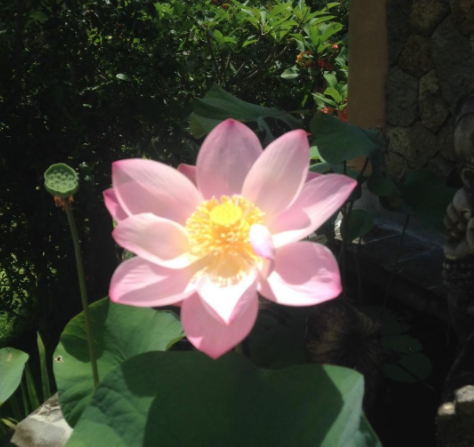 TRAVEL TRUFFLE: Make sure you book in for a treatment as Uma’s spa really is world class. And we also found the early morning 1-1 walking tour of the surrounding fields a great way to understand the unique ebb and flow of traditional Balinese mountain life. 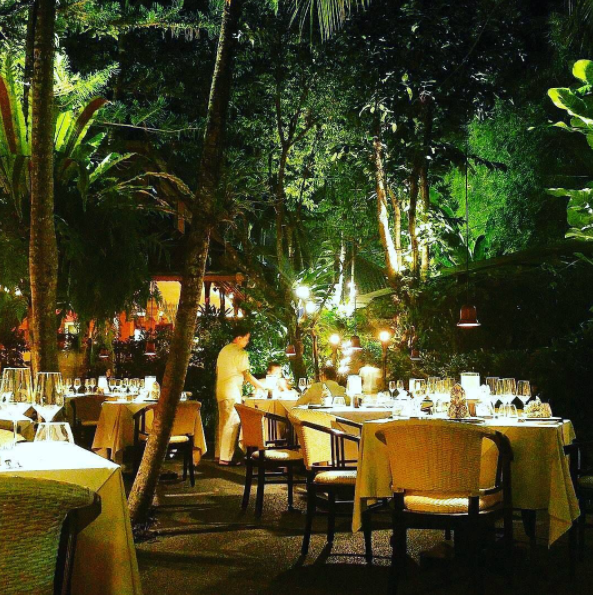 Comfortably sitting within the top 50 restaurants in Asia, we sampled the full tasting menu at this fine dining establishment set within a jungle courtyard. Three hours later, we found ourselves deep in dessert territory and anything but disappointed. 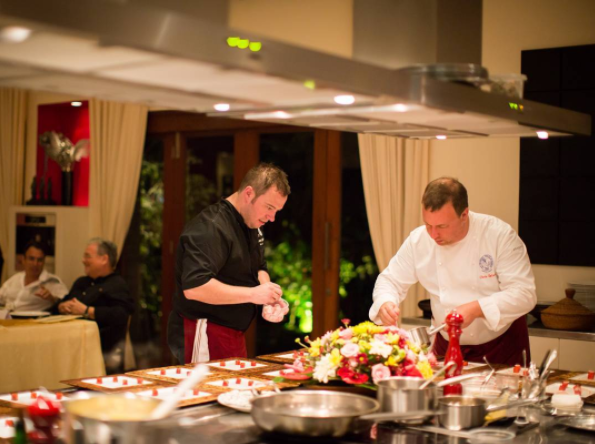 American-born Chef Chris Salans was raised in France and trained at Le Cordon Bleu. 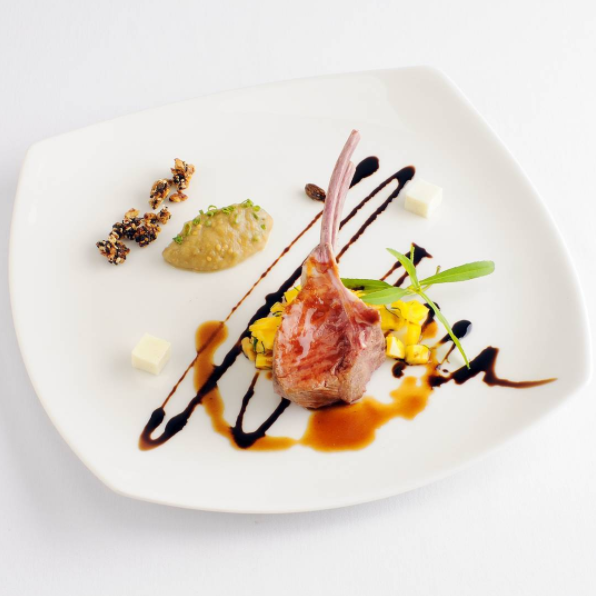 His style marries these traditional methods with locally sourced ingredients and a flair for a dramatic plate. 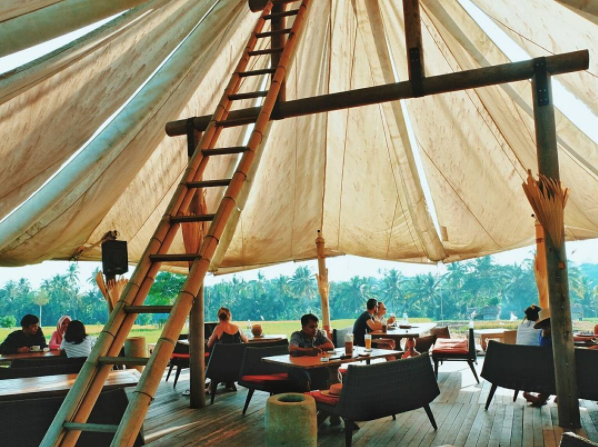 TRAVEL TRUFFLE: In July 2015, Salans opened the more reasonably priced Spice in the centre of Ubud along with Mozaic Beachclub in Seminyak where you can try a diffused version of the dishes with cocktails in Bali’s dining hub. There is also a cookery school here where you can spend a day or a few weeks honing your skills. 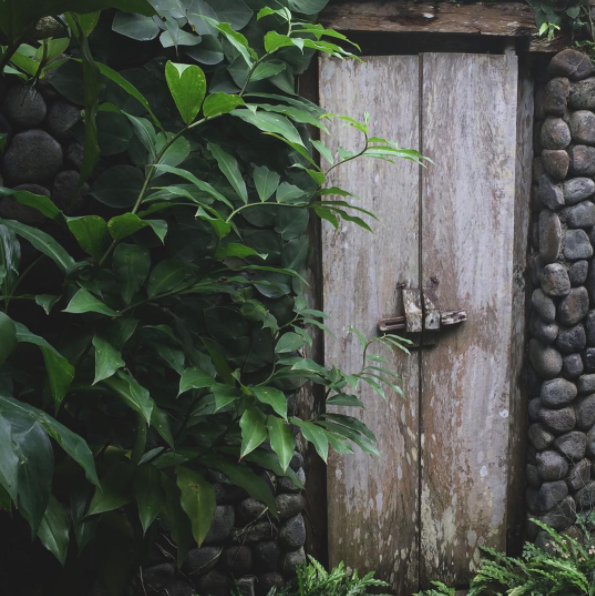 It takes a bit of time – a 20-minute walk in fact – and some degree of detective work to find this absolute gem, hidden in the rice fields from the main road, but it’s well worth the adventure. As you wander up the dirt path, the greenery spreads away on both sides and you get to witness the calm and detached day-to-day life of this rich farming area. Once you arrive at the slightly elevated platform and take your seat on the matted floor with comfy woven cushions, you will have earned that sundowner. The food here is good, but not exceptional, so stick to drinks and nibbles. 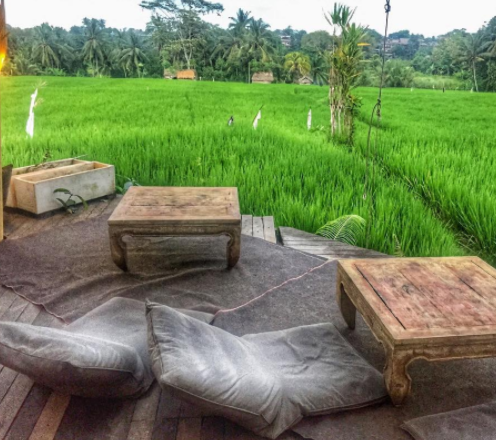 Cafe Pomegranate is really all about the ambiance you’ve been looking for from Ubud – read: the perfect place for chilled out vacationers to enjoy the sunset in the middle of nowhere. TRAVEL TRUFFLE: Do employ flashlight on your iPhone for the walk back as once the sun has set there is zero light to find your way back to civilisation. 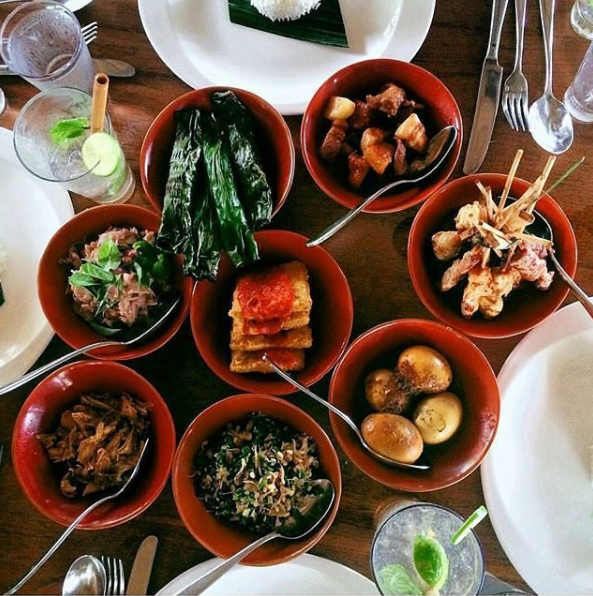 This experiential cooking class at the Alila Ubud hotel was recommended to us by friends who visit Bali regularly, and happily, this unique culinary adventure is still on offer. 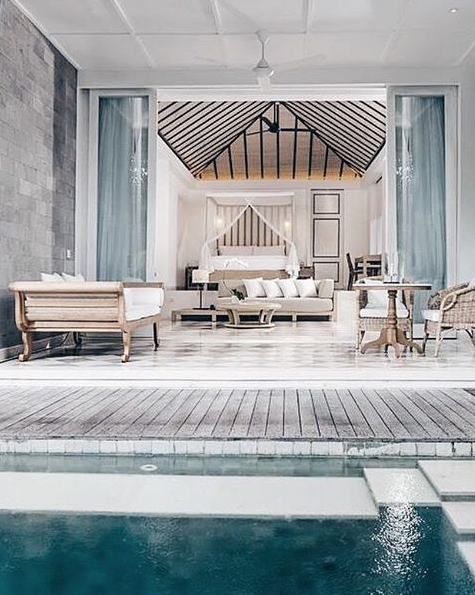 And it doesn’t matter if you aren’t staying at this resort. 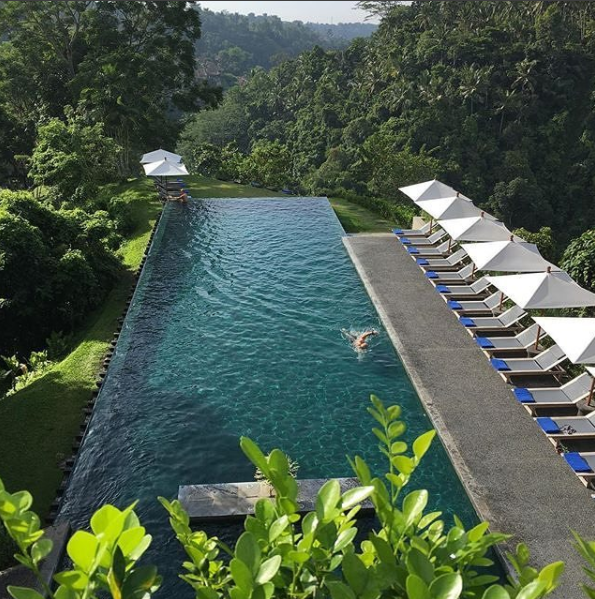 The tour starts with an early pick up (7am) followed by breakfast at the Alila hotel’s main restaurant overlooking the pool. After exotic fruits and eggs the hotel’s executive chef had us en route to an Authentic Balinese market (read: one that the tourist trail hasn’t yet taken over) to buy key local ingredients to get to work on later. 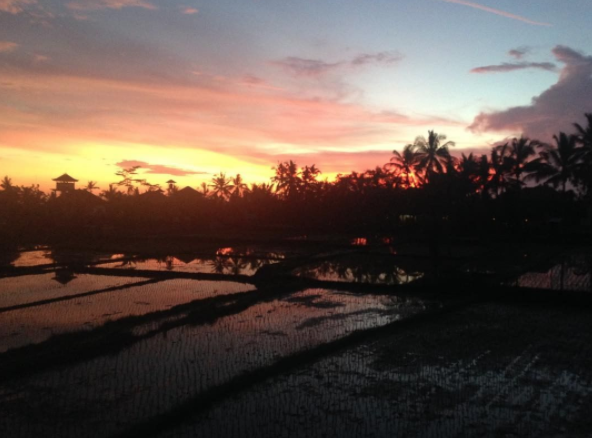 Our excursion also included a scenic detour through the rice paddies before returning to the hotel to begin our 8-dish menu – thankfully the hotel’s kitchen does all the prep. In front of a colonial-style picnic tent overlooking the rainforest, we start the burners. You can get as involved as you like, and eating as you go is encouraged. The hotel only takes one reservation a day so the whole experience is entirely private and charmingly personal. By 2pm, we could not eat another thing and you leave with a recipe book of all the dishes that you have learnt to prepare, and all for USD $85 per person. 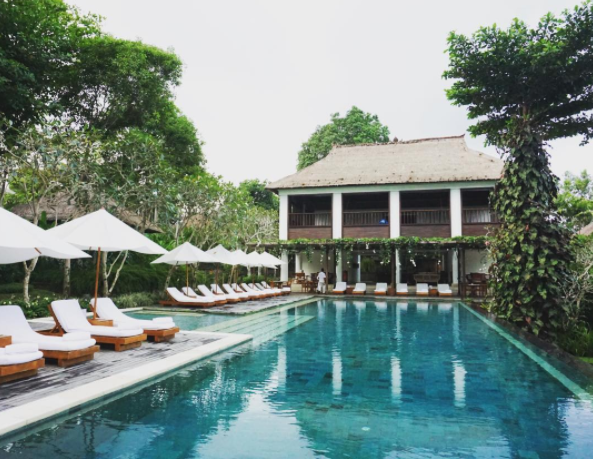 TRAVEL TRUFFLE: Ubud has a couple of great markets to explore and our morning favourite where you can find everything from spices to fresh local fruit, is at the Candi Kuning Market near Bedugul. When the sun goes down, head for the busy fun of the Gianyar night market and indulge in some of the tastiest Balinese street food: babi guling, or spit-roasted pig with chilli, turmeric, ginger and garlic, is a local favourite. 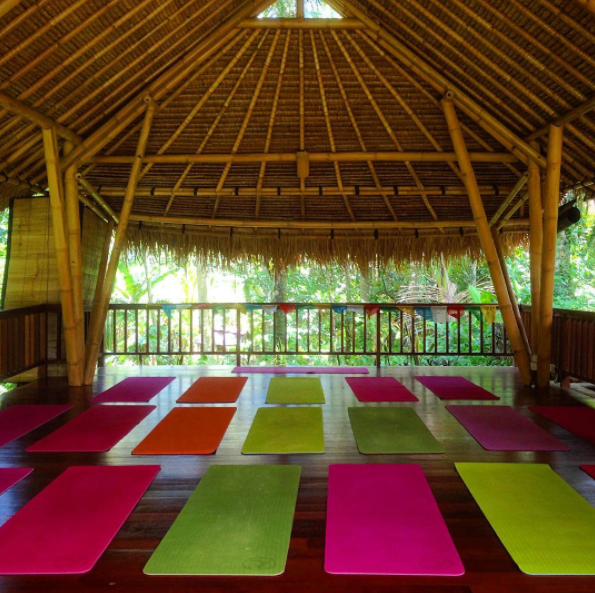 There are many places to practice yoga in this mountain town, with Yoga Barn being the most well-known and established within this somewhat crowded ‘scene’. 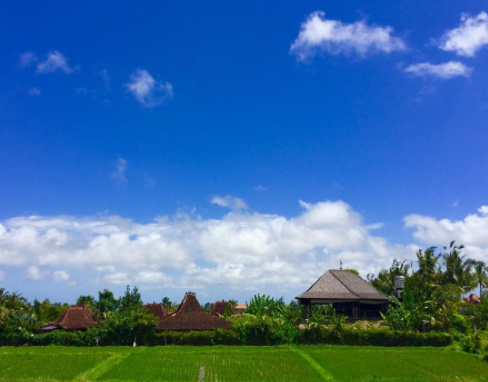 However, we’d suggest the smaller and more intimate Yoga House outdoor studio in the rice fields. Start with an early morning class to the gentle sounds of wind chimes as the well-versed teachers put you through your poses. Make sure you book the classes beforehand online as they fill up quickly because there’s only limited numbers. And at the end of the class they provide cool hand towels and refreshing lemon water. How’s the serenity? 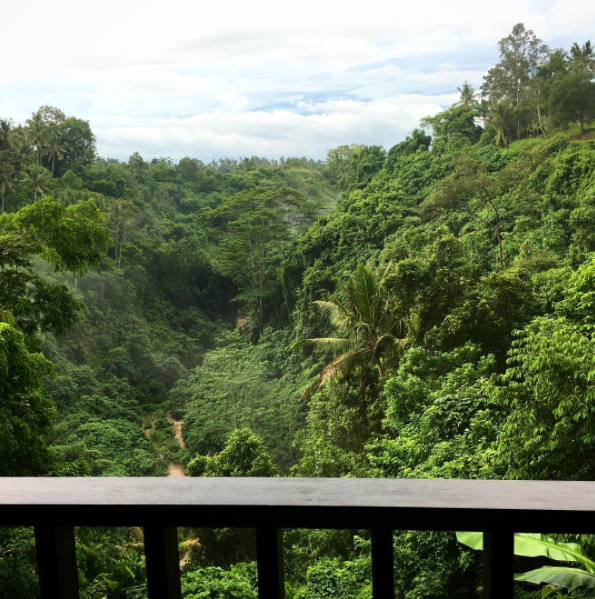 TRAVEL TRUFFLE: If you’re in Ubud you have to go and visit the Sacred Monkey Forest as they pose for photos and nick anything that isn’t tied down. Standard monkey behaviour then. They’re really very domesticated – read bolshy – but it’s amazing to see them in their own environment. It’s a big forest and the tracks are well maintained with dedicated ‘cheeky monkey security’ patrolling in a laid back way, just in case any of the locals get too ambitious.